Newcomer Family Obituaries - Bonnie F Slussar 1948 - 2018 - Newcomer Cremations, Funerals & Receptions. Columbus, Ohio ---- Bonnie Slussar, age 69, passed away peacefully on Sunday, the 2nd of September at Mount Carmel West hospital. Born in 1948 in Orient Hill, West Virginia, Bonnie was a beloved wife,sibling, mother and grandmother that will forever be remembered in her relatives’ heart. 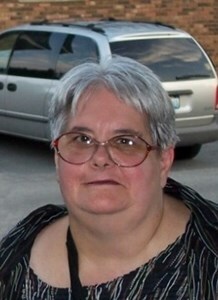 Bonnie loved to cook and socialize/take care of her family. Her grandchildren meant the world to her. She also loved to do arts and crafts such as puzzles, coloring and making dream catchers. Bonnie had a wonderful smile that would light up the room. She is survived by her husband of 49 years, Okey Slussar. Her siblings, Shelby Slayton, Nancy Welch, Johnny Slayton, Ed Slayton, and Jackie Slayton. Her children, Donnie Slussar (Gretchen Slussar) and Bonnie Slussar. And her grandchildren, David, Courtney, Zach, Tyler, and Cassidy Slussar. Jesse, Paul and Michael Seymour. Preceded in death by her parents Cecil and Fannie Mae Slayton. Family, friends and others whose lives Bonnie touched are invited to the Newcomer Funeral Home, 3393 Broadway, Grove City, Ohio from 4 p.m.- 6 p.m. on Saturday, September 8, 2018. Add your memories to the guest book of Bonnie Slussar. Nancy ,Shebly and Kevin love you, you will forever love in our heart. I remember coming over and hanging with my best friend Donnie. While there, Mrs Slussar would go way out of her way to make me feel at home. She was a great mother and her children are proof of that. Sorry for your loss Slussar family.